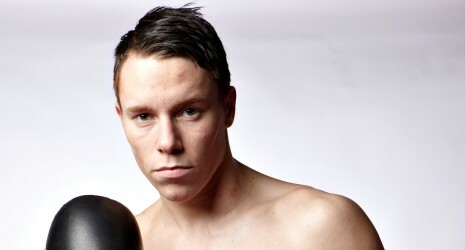 Jr welter Kim Poulsen moved to 21-1 with a unanimous decision over Nicaraguan Miguel Aguilar over eight in the headliner of this Euro Event promotion at the Skyline Arena. Aguilar was down in the first for a loss on scores of 80-71 on all cards. Poulsen was too big, strong and fast for Aguilar who was picked apart but never hurt. Middleweight Abdul Khattab won every round against Dmitrijus Kalinovskis over four. Khattab hit his opponent with a lot of powerful punches but few connected and Kalinovskis survived despite some rocky moments in the second. Abdul is now 2-0 and trained by Ricard Olsen at the same CIK gym where Mikkel Kessler got his start but no, he is not a new Kessler. Stephan Alms, also at middle, opened the pro-part of this pro-am show with one-sided points win over four over Borislav Zankov from Bulgaria. It was scored 40-36 on all cards.